Past Hampton Rovers junior player Angus Brayshaw capped off a remarkable year, finishing third in the 2018 Brownlow Medal Count, polling 21 votes. 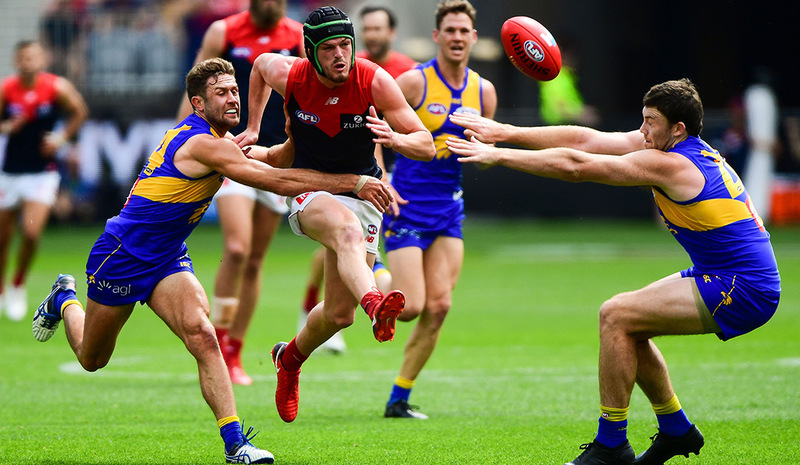 Melbourne’s best hope was expected to be a duel between Max Gawn and All Australian midfielder Clayton Oliver, but both were upstaged by Angus Brayshaw. The onballer – who incredibly spent the first three games of the year in the VFL and wasn’t even invited to the count – polled eight votes in his final four games to roar past his two teammates, which included two consecutive best-on-ground efforts to end the season against the Eagles in Perth and the Giants at the MCG. More incredibly, it was Brayshaw’s first ever Brownlow votes. It’s been a great year for the Hampton Rovers in regards to the AFL, with nine former players on AFL lists. Brayden Maynard has had a great year for Collingwood and will play in the 2018 Toyota AFL Grand Final on Saturday against the West Coast Eagles. The club wishes Brayden all the best! Christian Salem has also had a breakout season at Melbourne, featuring in 24 games and proving to be a valuable member of the team. He collected two Brownlow votes for the 2018 season. Angus Brayshaw’s two younger brothers were recruited in the 2017 AFL Draft with Andrew Brayshaw picked up at number two and playing 17 games for the Fremantle Dockers before his season was ended prematurely by Andrew Gaff. Hamish Brayshaw was recruited by West Coast Eagles but is yet to make his AFL debut. Also picked up in the 2017 AFL Draft was Will Walker who headed to North Melbourne and made his debut this year. Other Rovers players on AFL lists are Karl Amon (Port Adelaide), Corey Maynard and Jayden Hunt (Melbourne). It’s actually 10 players on the books of AFL clubs if you include Ty Vickery who was officially still on Hawthorn’s list, despite retiring at the end of last year. The Hampton Rovers season wraps up with the Senior Presentation Night on Thursday September 27th at the Brighton International (Georgian Room) – drinks from 6:30pm for a 7pm start. Tickets are now sold-out with over 190 people to be in attendance, making it the biggest ever for the club.